Volkswagen Passat Alltrack Review 2019 | What Car? Opt for a Volkswagen Passat Alltrack over a regular VW Passat Estate and you’re basically nailing the sole of a hiking boot to a regular brogue. The top half of the Alltrack looks reassuringly business-like, but underneath you get four-wheel drive, increased ground clearance and skid plates to conquer even the muddiest boot sale car park. 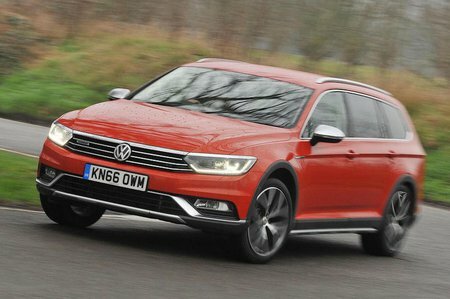 Just to let everyone know you’ve spent more on your Alltrack, you also get flared wheelarches, SUV-inspired bumpers and a set of big alloy wheels. Engine options are limited to a pair of 2.0-litre diesels; a 148bhp unit with a manual gearbox or a 187bhp motor with an automatic gearbox. 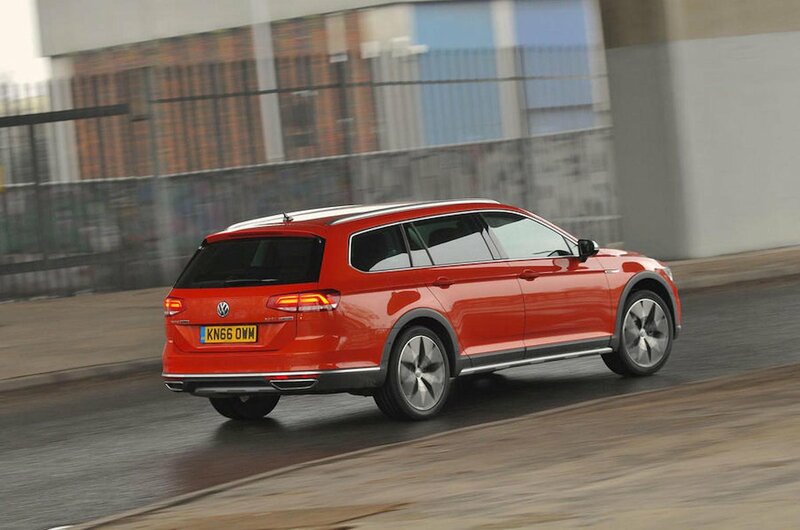 Apart from the sprinkling of SUV touches, the rest of the Alltrack is much the same as any other Passat Estate. That means a classy and well screwed together interior, a commodious boot and refined diesel engines. If the idea of an estate on stilts appeals, then it’s worth following our handy links to the Audi A4 Allroad, Subaru Outback and the Mercedes E-Class All Terrain. Before you go off exploring, read on for our definitive verdict on the Passat Alltrack.